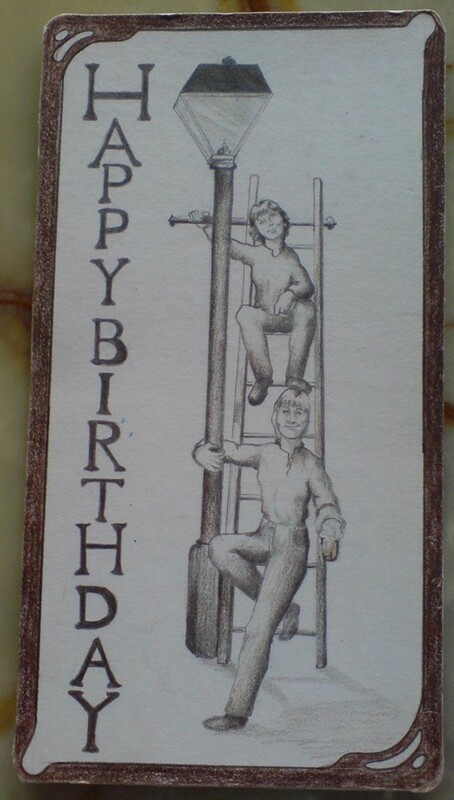 This is a 50th birthday card sent to Joyce Edwards (born 1925), the owner of The Gaslight Club in Ashton-Under-Lyne, by two of her regular customers. The Gaslight was a pioneering women's only nightclub opened in 1973. The club was very popular and provided a safe space for women from a variety of backgrounds, most of whom were not out in their day to day lives. The club employed female DJs who played chart hits from the day. The most requested tune around this time was 'When Will I see You Again?' by The Three Degrees. As this card demonstrates, Joyce was cherished by her community. She never formally met the girls who sent it.